Time Inc. confirms they've ended partnership with Chat Sports; did fake writers play a role? 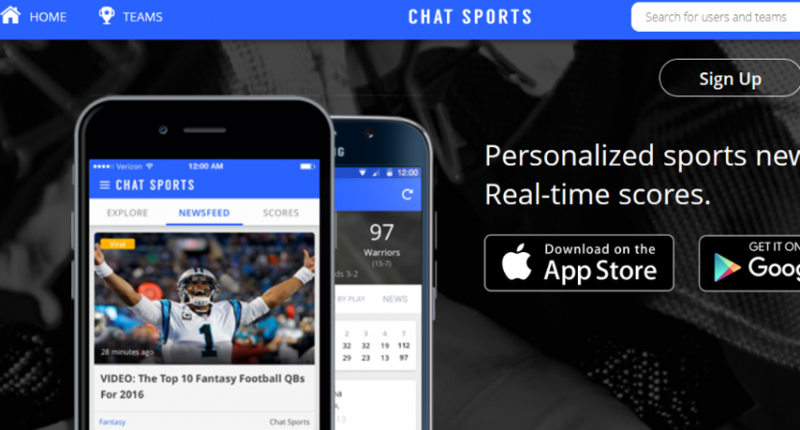 Time Inc. confirms they’ve ended partnership with Chat Sports; did fake writers play a role? It’s not clear that those “early days” were as far away as they sound, though. One of the most controversial potentially-fake Chat Sports writers was “Mack Ferguson.” A story under Ferguson’s byline created the Urban Meyer fiasco in December 2015, months after Time Inc. and Chat Sports signed that partnership deal in September 2015. That story said that the Cleveland Browns had offered Meyer “the biggest contract in NFL history” to come in as their head coach, and it was repeated by outlets from ESPN’s Pardon The Interruption to NJ.com and The Dayton Daily News. Meyer wound up having to call a press conference to deny the rumor. Meanwhile, Ferguson has only tweeted once (in June 2011, asking Reggie Bush to check out Chat Sports) and has a Facebook profile with just 27 followers, and no one appears to have ever heard of him beyond his Chat Sports pieces. No one has been able to prove that he’s real. Ferguson also has written for Chat Sports as recently as three months ago, and two of his pieces showed up on SI.com in September 2015. Other fake writers may have showed up on SI.com under that partnership, too. We don’t know why Time Inc. decided to end their Chat Sports partnership, which Roberts’ story said “is even smaller than the one with The Cauldron was,” but there could be plenty of reasons. The accusations of false term sheets and impersonation of lawyers in Roberts’ piece are definitely ugly, and not a look Time likely wants to be associated with. Roberts’ piece also included that the end of the Time Inc./The Cauldron partnership came after Yoder e-mailed people throughout Time Inc. saying The Cauldron was planning a hit piece on him. Yoder’s admission to using fake writers, description of it as “growth hacking” and willingness to do so again may have also been a factor, though; that’s certainly not reputable journalism, and it’s not something many outlets would want to support. In any case, the Time Inc. partnership with Chat Sports is no more.